Soak beans with sufficient water for whole night. In the morning presser cook with sufficient water, salt for 5 to 6 whistle or till soft. Heat oil in kadai, add cumin seeds, hing, and onion and mix well. Add ginger garlic paste and sauté for 2 to 3 minutes. Add tomatoes and cook till soft. Add red chilly powder, turmeric powder, coriander powder, cumin powder, garam masala and mix well. Add boiled beans and sufficient water, mix well. Cook for 5 to 6 minutes. Garnish with fresh coriander leaves and served with brown rice. Tip: you can serve with roti or paratha. 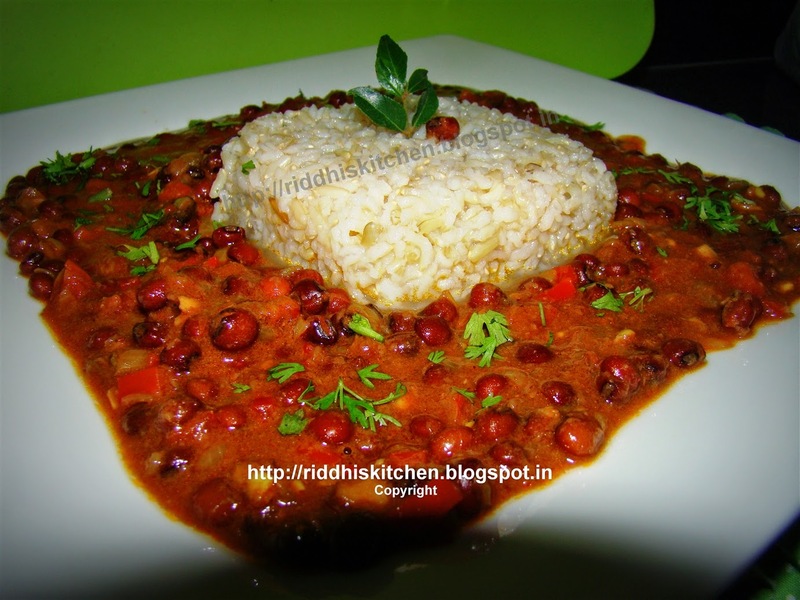 you can use any types of beans instead of toor whole.